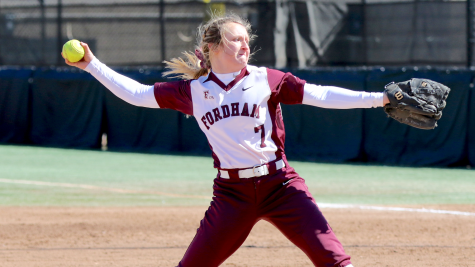 Fordham Softball continues to go as Madie Aughinbaugh goes, as the junior hurler dominated the series opener and finale against Dayton, leading the Rams to 5-1 and 7-0 wins on Friday and Sunday, respectively. 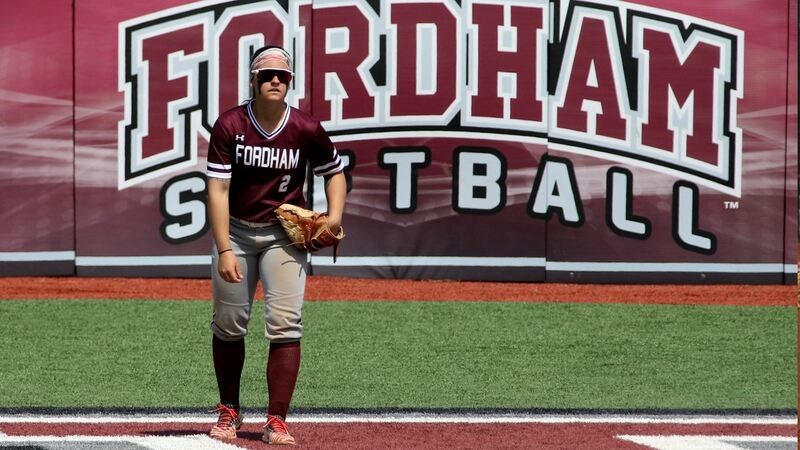 Winning two out of three on its home field, Fordham improves to 13-20 overall and 6-3 in conference play. 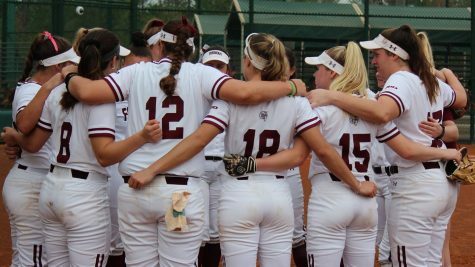 Subpar outings by senior Maria Trivelpiece and freshman Makenzie McGrath in the middle game placed extra pressure on the back of Aughinbaugh, after they surrendered a combined 11 runs over five innings in a 13-6 loss. 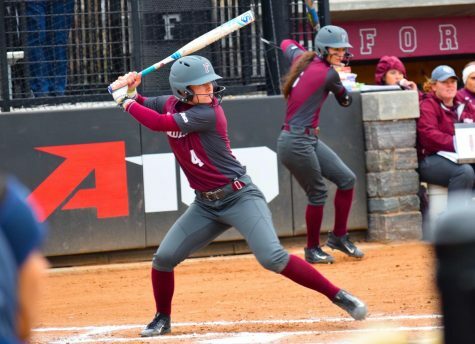 In Game 1, seniors Chelsea Skrepenak and Jordy Storm collectively tallied four hits and three runs batted in, while Trivelpiece raked her way to a 4-for-4 effort. 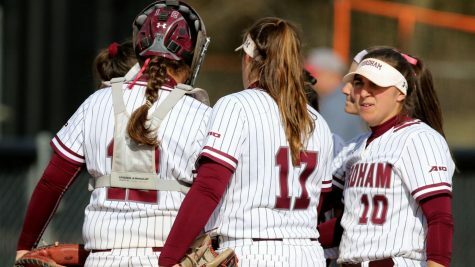 Aughinbaugh scattered six hits and one earned run over a complete game effort, fanning three in her seventh victory of the season. Dayton’s starting pitcher Jessica Weaver also went the distance, but the Rams pounded 11 hits over her six innings of work, and she allowed 15 total baserunners to reach. 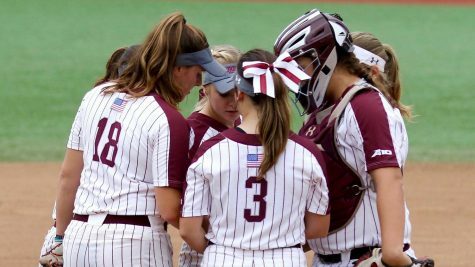 “Overall, Aughie and the defense did a good job keeping them off the bases,” head coach Melissa Inouye told Fordham Athletics. Aughinbaugh held a potenially dangerous middle of the order (3-4-5) in check for a combined 1-9 performance, keeping the Flyers at bay all afternoon. 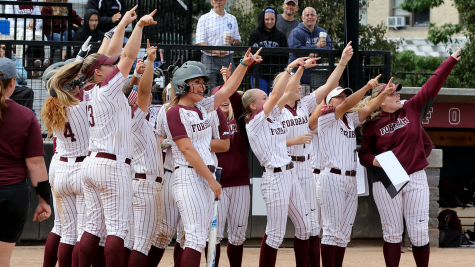 Despite seeing her just two days prior, Dayton had no answer for Fordham’s rock on Sunday. 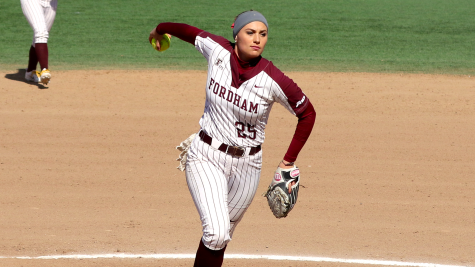 She registered yet another complete game, this time of the shutout variety, her first of the year and 12th of her career, allowing three hits, striking out two and walking none in a 7-0 win, her fifth in conference play. 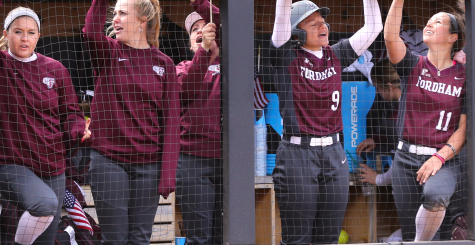 Fordham tagged Dayton’s Jensen for four hits and four runs in the first inning, allowing the Rams ace to steal the show for the remainder of the day. “We did a good job scoring first and giving ourselves the lead by swinging at good pitches,” said Inouye. The Rams scored all seven of their runs over the first two frames largely thanks to Storm’s two-run, one RBI, 3-for-4 effort, senior Molly Roark’s two RBI’s, 3-for-3 showing and eight regulars tallying a hit. 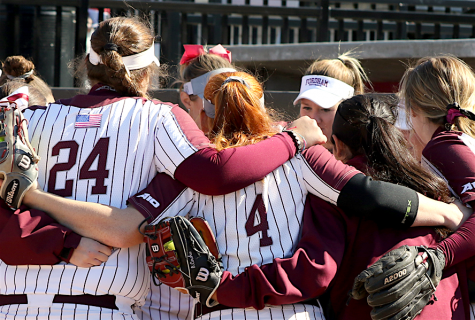 On the weekend, Aughinbaugh allowed just nine hits and one run in 14 frames to record two wins and give the Rams their third straight conference series win. 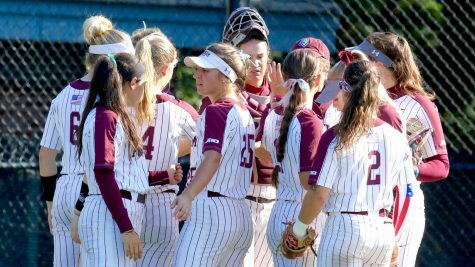 Fordham will be back in action at St. Bonaventure this Wednesday afternoon, playing a twinbill beginning at 2 p.m. The Rams will return home to host Saint Louis in a three-game series next weekend.